SAN ANTONIO - After announcing late last week that its pantry was down to just nine bags of dog food -- which would likely not last through the weekend -- San Antonio Animal Care Services was quickly inundated with donations. 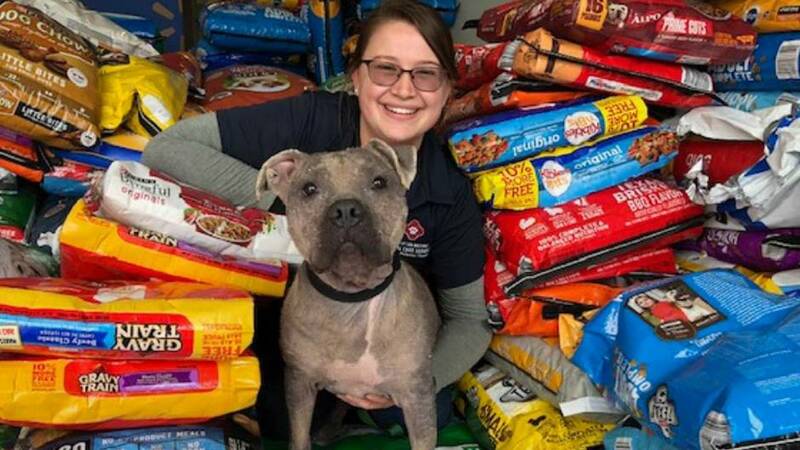 Officials with the Alamo City nonprofit dedicated to the care and well-being of our four-legged friends said they had more than 8,000 pounds of pet food donated within 24 hours. "Your donations have allowed our Pet Pantry program to keep running strong and help pets in need," ACS officials wrote in a Facebook post. "Thank you for helping us make a pawsitive difference. Seeing your support encourages our continued commitment to help animals in need." ACS officials said its Furst Responders Team is a group dedicated to help both shelter and other programs -- like the Pet Pantry -- when they're in need of donations. You can join the Furst Responders team HERE. You can also donate pet food and other supplies via ACS' Amazon Wish List.